In the hands of Transporter1221. 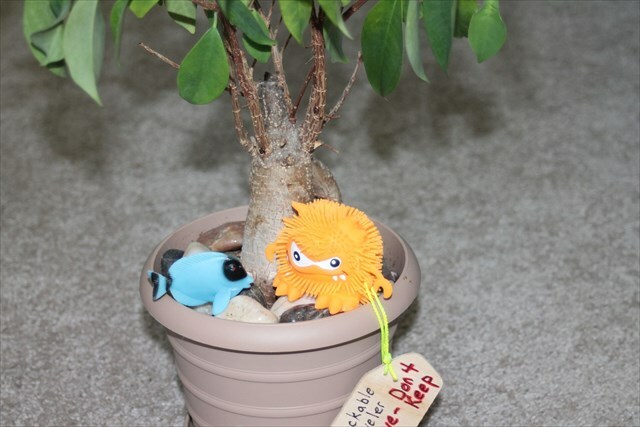 Use TB3B08Z to reference this item. The answer is 42. But what is the question? Can this bug learn the answer? Is this the long awaited missing cog in the great machine designed to calculate the ultimate question?!? Can the voice inside your head inflect any higher while reading this?!?!? Probably not, but let's have some fun with it anyway. Note carefully the current and former default images of this traveler. 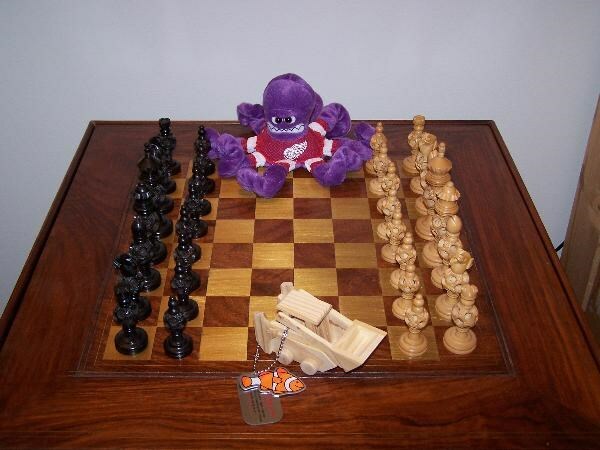 Why is there a wooden skid loader model, a Clown fish-shaped TB tag, sitting on a chess board, with the Detroit Red Wings octopus? 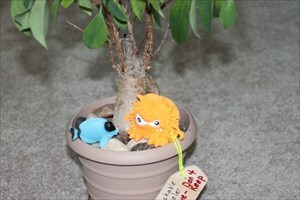 Why again is this orange rubber monster chatting with a blue tang under the leaves of a bonsai tree? I don't know either, it just doesn't fit. That's the whole idea. Try to take this bug places where it is oddly out of place, and take a pic. Or, post your favorite saying, movie line, song lyric, or whatever, that has something oddly out of place. Or just go be oddly out of place yourself. Or convince someone to eat himself, and tell us whether he doubled in size, or simply disappeared.